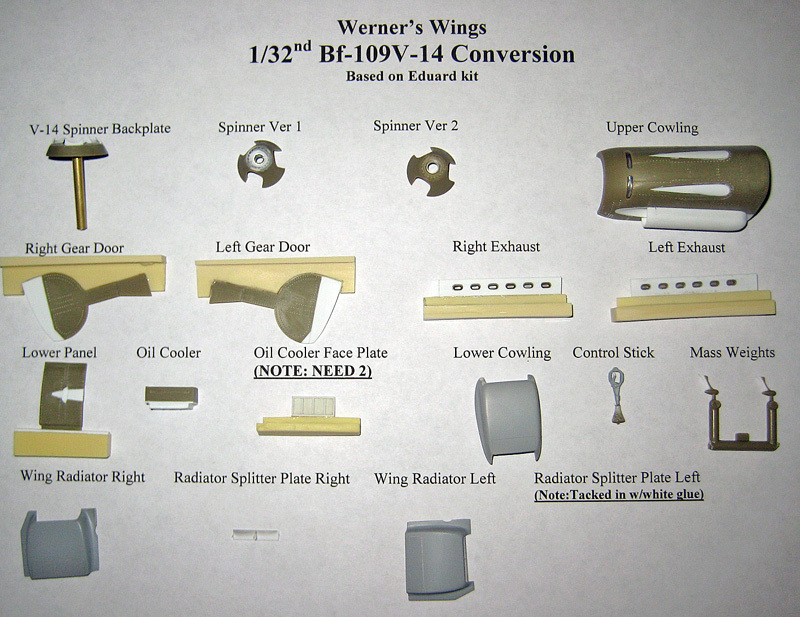 I'm pleased to announce the impending release of the Werner's Wings 1/32nd scale Bf-109V-13 and Bf-109V-14 conversions for the Eduard kit. Both aircraft will include all the required parts to build the aircraft as they appeared at the Dubendorf Air Races in 1937. 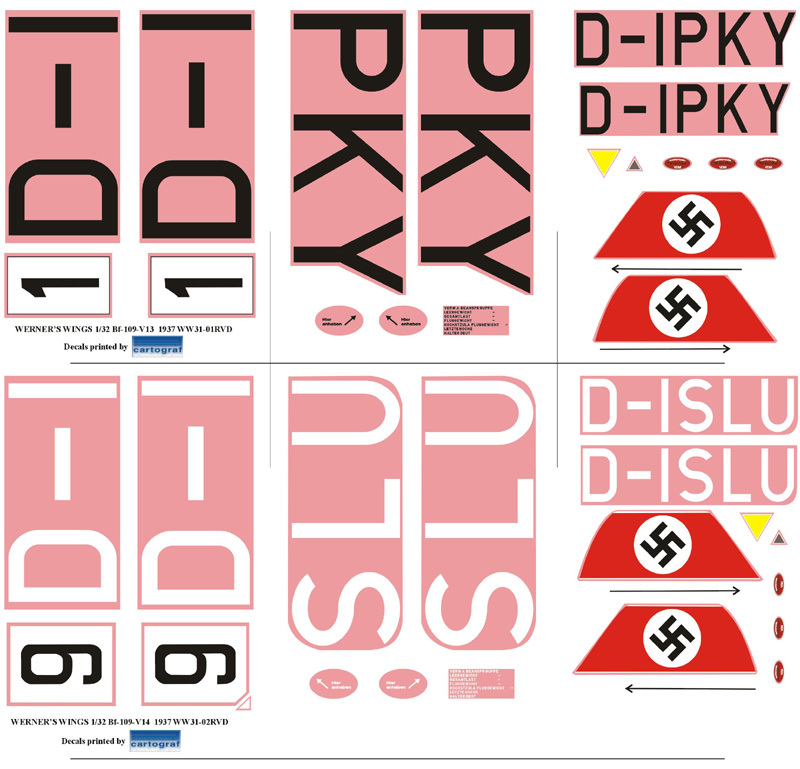 Each set is cast in 20 light grey resin pieces and include the appropriate decals. Mastered by Tom Bautch, the modeler will get a new forward cowling, landing gear legs, spinners and oil coolers. There are other smaller parts including a new spade grip for the cockpit and mass weights. The decals are printed by Microscale and designed by Keith Davidson of Red Pegasus Decals. The cost will be $40 per conversion plus shipping. The V-13 will be product number 32-V13 and the V-14 will be 32-V14. A future limited edition release will include the V-13 Record Setter with new canopy, spinner and oil cooler. I am taking pre-orders now. As soon as I get them in I will make an announcement and ship the pre-orders out. 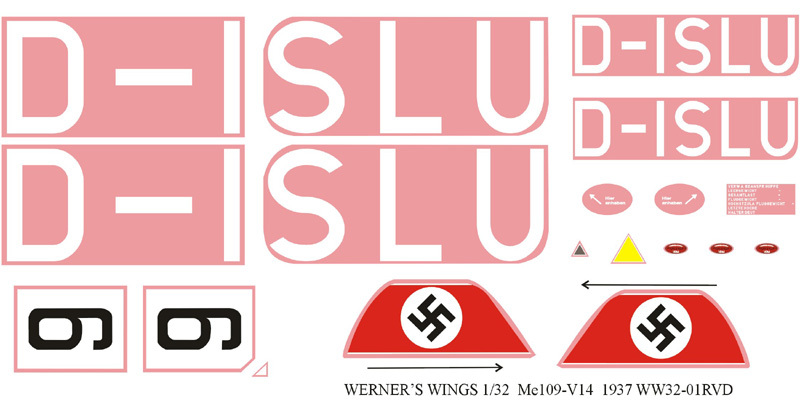 The decals are here, the resin is being cast up and I just need to wait on the packaging and to design the instructions. I expect to ship within the next two-three weeks. 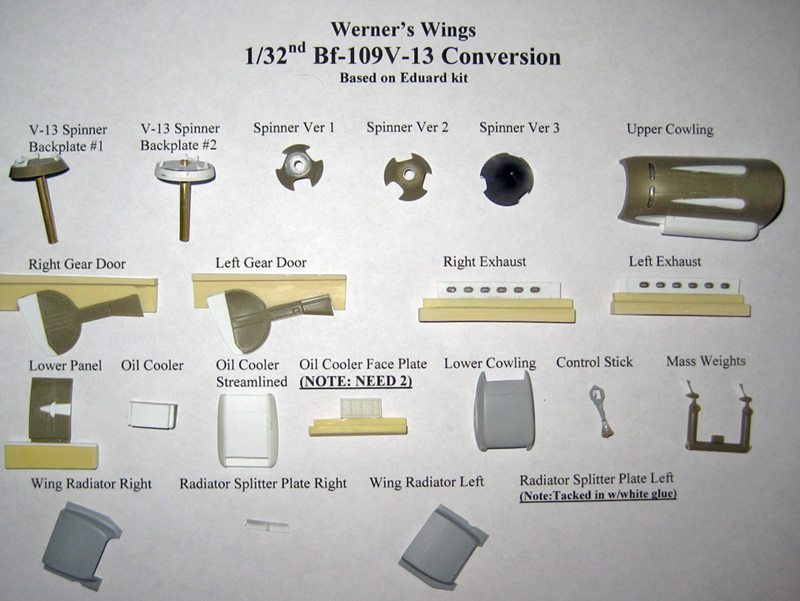 Check out http://www.wernerswings.com (hopefully it will be updated soon) and friend us on Facebook at Werner's Wings. Also check out my eBay store for the latest products and models for sale. 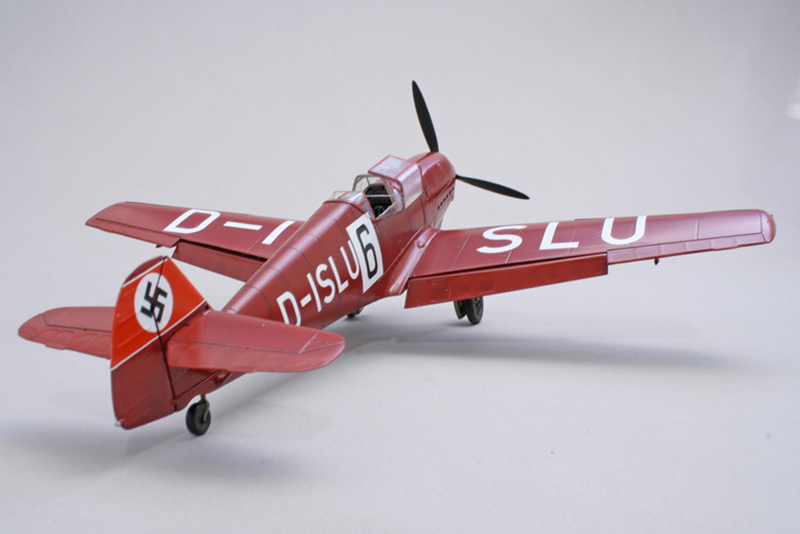 Note: The model in the picture is actually my 1/48th scale conversion set of Ernst Udet's V-14.